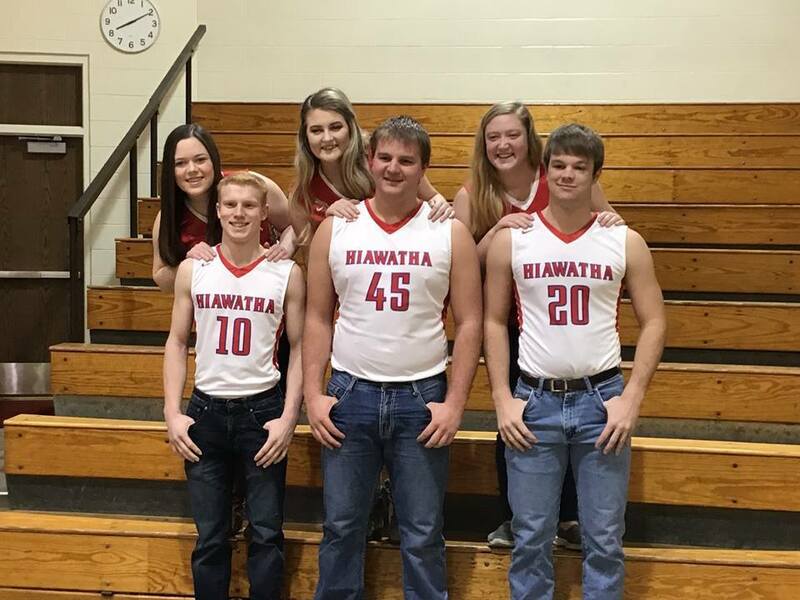 In the midst of basketball season, snowy weather, and student-led conferences, local Hiawatha High School students are getting geared up for Winter Homecoming week. Beginning on Monday the fourth, the week has been filled with competition, camaraderie, and school spirit and will conclude on Friday the eighth with the Homecoming Dance. To kick off the week with a flair, students and staff planned multiple engaging activities to excite the entire school. The first things on the list were Spirit Days, and Monday started them off with Tourist Day, giving students and faculty the chance to channel their inner tourist without any beach or sunshine in sight. Tuesday the fifth, students got the chance to take a look into the near future with Future Occupation Day, and Wednesday they took a look into the past with Re-Create a Picture Day. Teachers and students planned to have a blast from the past with Decades Day on Thursday, with each grade dressing in the garb of their respective decade. Due to inclement weather, however, the school day was cancelled. As per tradition, Friday is Red and Blue Day as the Hawks prepare for their upcoming basketball games against the Royal Valley Panthers. With action to be found anywhere you look, students took advantage of some age-old class rivalry in order to have some fun and channel their creative sides. From Wednesday to Friday, students decorated their hallways according to their respective decade. Bustling with school spirit, students headed to the polls and nominated Winter Homecoming Royalty, who will compete for the crown and on the courts as well. Queen nominees include seniors Bethany Meyers, Eva Peters and Laila Jones while King nominees are seniors Caden Lillie, Hunter Pavlish and Alan Simpson. The Winter Homecoming King and Queen will be crowned on their home court tonight prior to the Winter Homecoming Dance, which will go from ten o’clock to midnight.